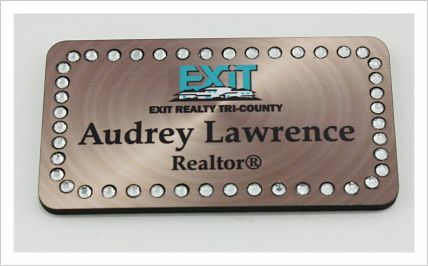 Size (1.5 x 3) Exit Realty Silver Rectangle with magnet backing. Size (1.5 x 3) Exit Realty Gold Rectangle with magnet backing. 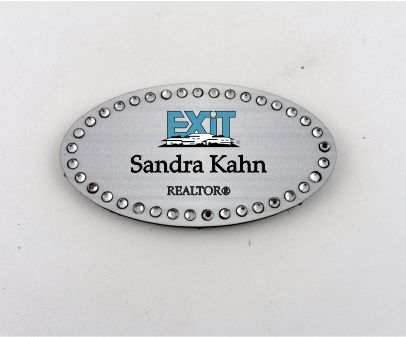 Size (1.5 x 3) Exit Realty Brushed Silver Oval with magnet backing. 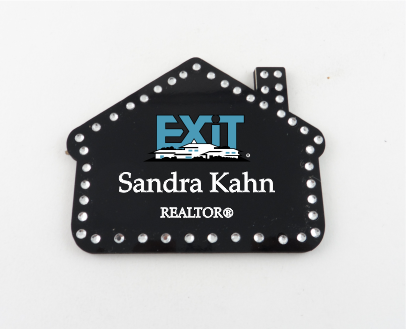 Size (2 x 3) Exit Realty Black House with magnet backing.